There’s no need to break the bank on expensive make-up products that aren’t even that great. Some people are firm believers that some of the best make-up can be found right in your local drugstore! For instance, there is an array of affordable yet amazing eyeshadow palettes available. Fortunately, Cupid has narrowed down the best drugstore eyeshadow palettes for you so that you don’t have to go through the trial and error process. Rock the latest beauty trends with these lovely drugstore eyeshadow palettes! 1. L.A Girl Beauty Brick Eyeshadow, Nudes: This palette is perfect for that natural look you are striving to achieve. No need to spend over $50 on an Urban Decay Naked Palette when you can achieve the same look starting at $7. This palette offers some shades with shimmer, and some completely matte colors. Plus, the magnetic case includes a mirror and a double-sided eyeshadow applicator so you can do your makeup on the go. This eyeshadow has an amazingly smooth texture and also has the ability to keep your eyes looking amazing all day long! 2. NYX Ultimate Shadow Palette In Smokey and Highlight: Put together your next date night look with the help of the beautiful array of shades in the NYX Ultimate Shadow Palette. The immensely pigmented, easily bendable colors glide across your eyelids so gracefully. You will have the ability to create an uncountable amount of looks because this palette offers such a variety of colors. Make your way to the local drugstore and get this amazing eyeshadow! 3. Revlon ColorStay 16 Hour Eyeshadow Quad in Precocious: Who doesn’t love a nice smoky grey and purple look? If you’re a fan, then this is a great drugstore palette for you. These 4 colors will stay on your lids for a guaranteed 16 hours. The only downfall is that these colors aren’t that pigmented. But, due to it’s anti-crease qualities, this palette makes the cut. 4. Milani Everyday Eyes Eyeshadow Palette in Earthy Elements: With six very pigmented shades, you can create a beautiful celebrity style look. These smooth, easily bendable colors will last you all day and all night long. Nothing compares to using hues that represent this wonderful earth that we live on. 5. Burt’s Bees Eye Shadow Trio in Shimmering Nudes: The best part about this palette is that every tone incorporates ingredients such as honey, vitamin E, and bamboo so you can be nurturing your skin while you brighten up your look. You won’t have to worry about creasing, smudging, or fading either when you are strutting with this great product on your skin. 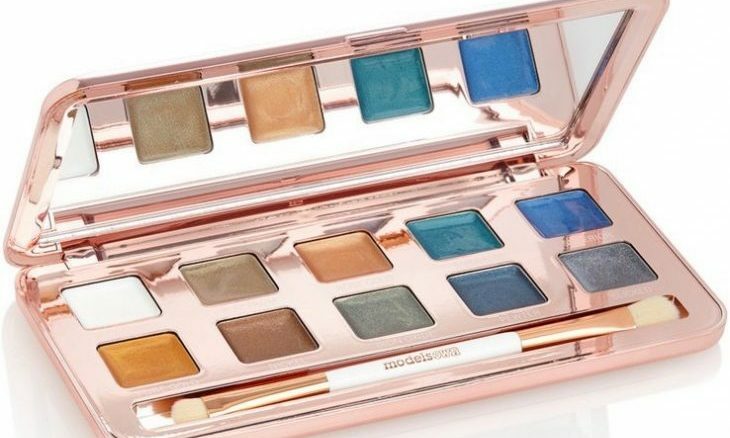 Do you have some more amazing drugstore eyeshadow palette suggestions for us to try? Comment below!